The Great Wall at Jinshanling is one of the best preserved parts of the Great Wall with many original features. It got its name because it was built on the Greater and Lesser Jinshan (‘Gold Mountain’) Ranges. A tablet with the Chinese inscription for Jinshanling Great Wall was set into this section. The Jinshanling Great Wall has not been repaired since 1570. It is a remote and relatively isolated section of the Great Wall. As there are relatively few tourists at Jinshanling Great Wall, it is a good place to explore on foot. Hello Benjamin, I am agree with your blog which you have shared. 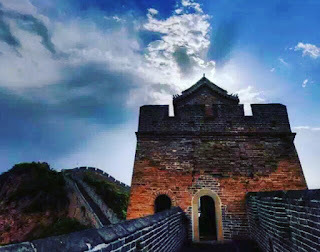 Great wall hiking tour is a superb idea to enjoy your holidays and spend time. Great wall is beautiful place I also have gone with my friends hrough a well known travel agency company. We were stayed there 15 days and spent our vacation with amazing sight seen.